It’s officially Super Bowl Week, which means it’s time to dissect this game from every possible angle. Super Bowl LIII is a classic matchup between the veteran defensive-minded head coach in Bill Belichick and the boy genius offensive head coach in Sean McVay. But there’s much more to the New England Patriots-Los Angeles Rams coaching matchup. 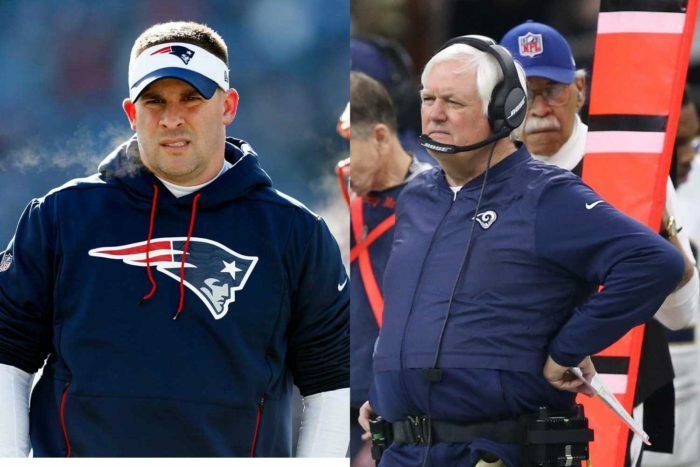 While the focus will be on Belichick’s attempt to slow down McVay’s prolific offense, there are two former head coaches who will be matching wits on the other side of the ball: Patriots offensive coordinator Josh McDaniels and Rams defensive coordinator Wade Phillips. The young vs. old theme works here as well. Phillips began his NFL coaching career as a defensive assistant with the Houston Oilers in 1976 – the year McDaniels was born. 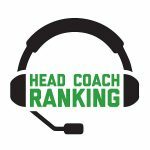 McDaniels and Phillips are both former Denver Broncos head coaches. Phillips ran the show in Denver in 1993-94 (he was also head coach of the Bills and Cowboys). McDaniels was Denver head coach in 2009-10. For the record, McDaniels and Phillips have faced off against each other once as head coaches. On Oct. 4, 2009, McDaniels’ Broncos defeated Phillips’ Cowboys, 17-10. Denver erased a 10-0 deficit and scored the go-ahead touchdown on a 51-yard pass from Kyle Orton to Brandon Marshall with 1:46 to play. The Cowboys QB in that game was Tony Romo, who will be in the CBS broadcast booth for Super Bowl LIII. That’s really the only connection between then and now. Both coaches have much more talent to work with than they did back then. Of course, McDaniels gets to work with the most decorated quarterback in NFL history, Tom Brady. While Brady doesn’t need much coaching, McDaniels does excellent work managing a rotation of running backs that includes James White, Rex Burkhead and rookie Sony Michel. He’s also done a nice job this season working in fullback James Develin. The Patriots are one of the few teams left in the NFL utilizing a fullback, and McDaniels’ use of Develin on Sunday could play a big role in containing Rams all-world defensive lineman Aaron Donald. Of course, the last time Phillips faced a McDaniels/Brady offense in the postseason was in the 2015 AFC Championship Game. The Broncos defense sacked Brady four times and intercepted him twice en route to a 20-18 victory. Two weeks later, Denver crushed Carolina in Super Bowl 50. So Phillips clearly knows the key to stopping New England is getting pressure on Brady. And McDaniels knows the key to keeping pace with the Rams’ offense will be keeping Brady clean. Let the chess match begin.